-- Preparing for Upcoming 2.0 Major Release!!! 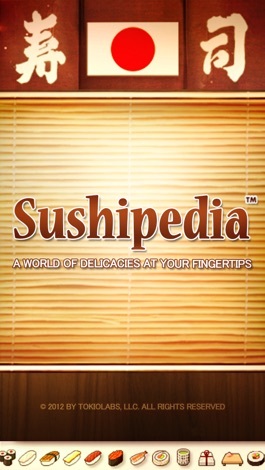 Sushipedia opens a whole new dimension to the fascinating world of sushi dining. Whether you are the type who enjoys the occasional sushi experience or an avid sushi aficionado, Sushipedia can greatly enhance your enjoyment and knowledge of sushi culture. Drawing up a wealth of resources directly from Japan and the USA, Sushipedia now boasts the most comprehensive and accurate worldwide reference for sushi facts and information. With this latest 1.2.1 (long overdue) update of Sushipedia, a greater and more complete list of popular sushi delicacies and even some of the world's more obscure offerings have been assembled complete with amazing photo references and thoroughly detailed factual and historical descriptions. ** Comprehensive Tasting Notes, Historical Facts, and Sushi Information. 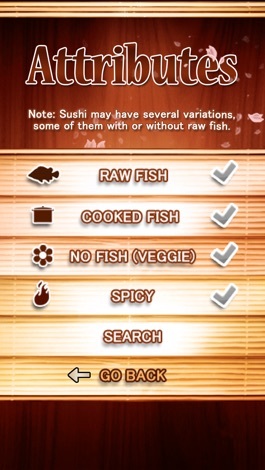 ** Multiple Images for most of the Sushi database entries, with the ability to easily ‘Swipe’ between photos. 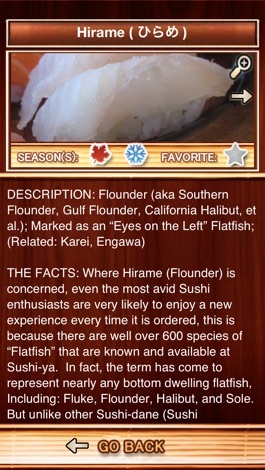 ** Fullscreen Image “Zoom” for all Photos in the Sushi Database. ** Inclusion of Seasonal Sushi selections for all Sushi Entries. ** “What’s in Season Now?” Button to Quickly Find Recommendations. 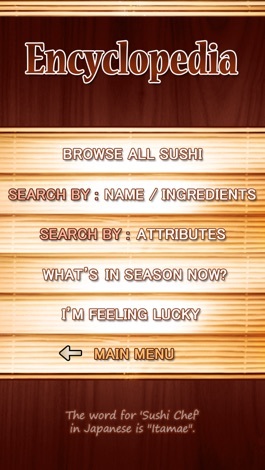 ** Favorites “Tagging” Function to Build & Save your Sushi preferences. ** Full Range of Searching based upon Names, Ingredients or Attributes. ** Interesting Factual and Historical Notes. 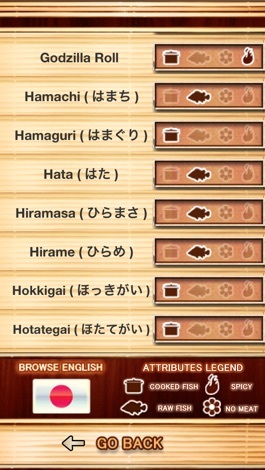 ** Ability to “Toggle” between Japanese and American (Roman) Names. ** In Application Comments/Suggestions Sending for anything that we have missed! We have completely rewritten the search and browse features of Sushipedia to include blazingly fast full text search capabilities and intuitive cross-references for related entries. Moreover, thanks to loyal fan base and our Sushipedia friends on Flickr, Sushipedia boasts some of the highest quality imagery available in an iPhone application. Try Sushipedia 1.2.1 and let us know what you think! After all, it’s absolutely FREE!!! !